Beauti-tone’s 2018 Color of the Year, Green Peace, is a peaceful, calming color: the perfect choice for a bedroom. 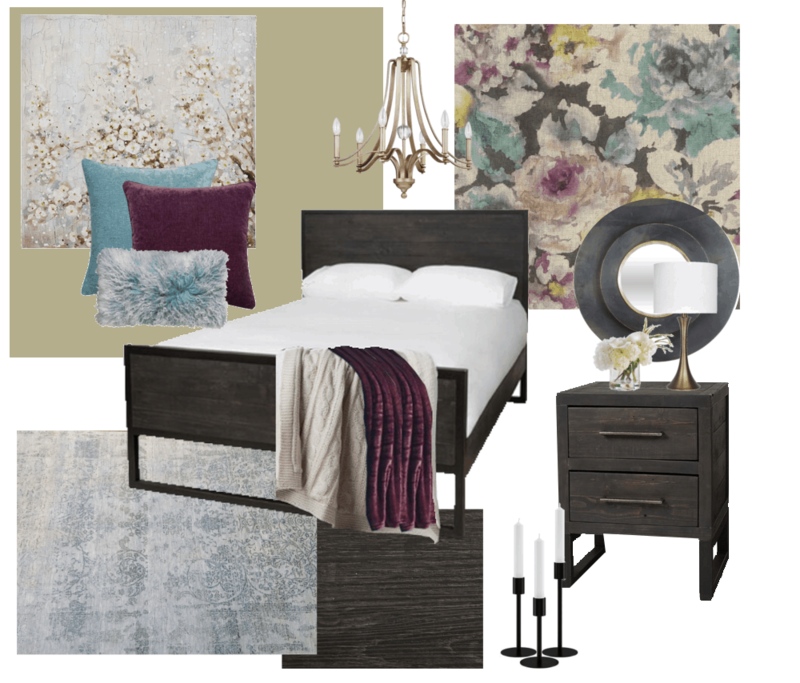 For this bedroom design board, I incorporated some of my other favorites as well: gold touches for a bit of glam, rich colors and textures for a welcoming feel and bold florals for an eye catching feature wall. For this room, I started with Green Peace for the walls and choose a gorgeous watercolor flower wall paper for a dramatic feature wall. For flooring, a luxury vinyl in a deep brown wood grain adds warmth and a rustic touch to the space. A contemporary area rug pulls the pale blue color from the floral wallpaper and creates a space that is the perfect blend of contemporary and rustic. 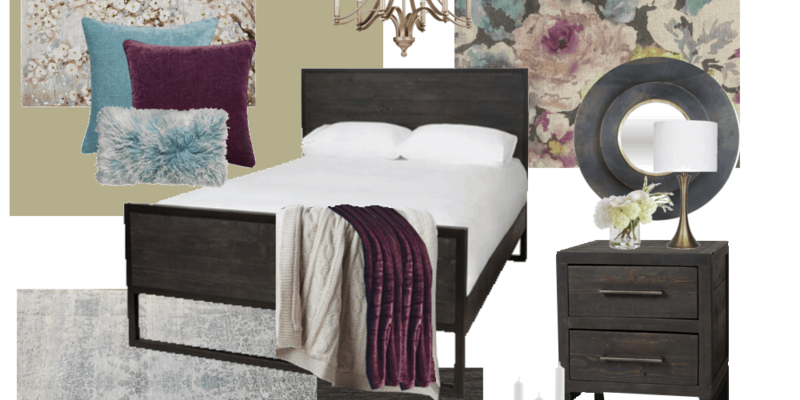 For the main furniture in the room, I choose a gorgeous bedroom set that combines the rustic feel of warm woods with contemporary shapes and hardware to continue the mixed look. A floral art piece and fresh florals continue the feminine, floral presence through-out the room while antiqued gold light fixtures add a touch of glam. A few black accents help to ground the space, including two lovely round mirrors with gold edging over each night stand. 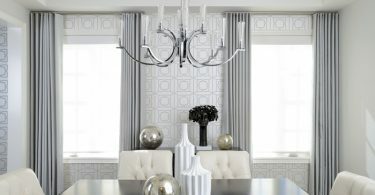 Textiles where chosen to add color and texture to the space. Leaving the main bedspread as a simple white allows the accents to really shine. A textured cream throw mixed with a rich purple velvet throw combine to add both comfort and a dramatic touch of color. Throw pillows in purples and blues, pulled from the colors in the wallpaper, give a final pop of texture and color.